Is self-driving government in the future? 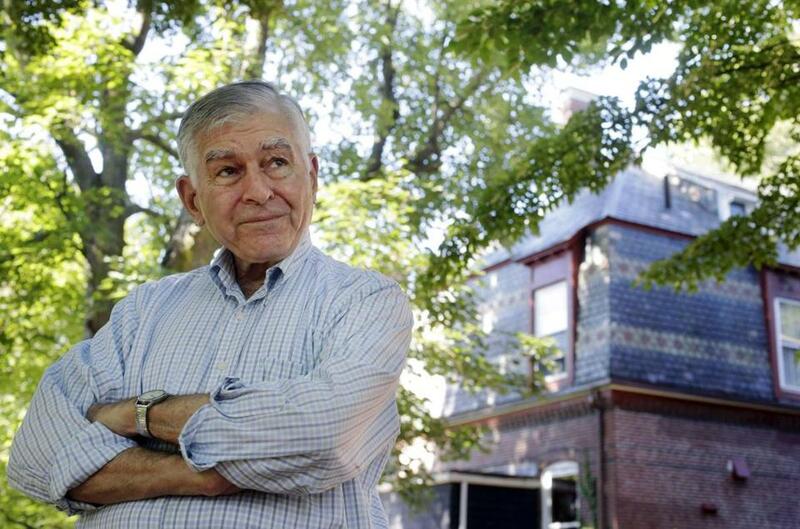 Michael Dukakis, the former Massachusetts governor and erstwhile presidential candidate, doesn’t think so. But he’s jumping into the debate over artificial intelligence in an effort to ensure the rapidly growing technology is used responsibly by governments around the world. The 84-year-old Dukakis recently co-founded Artificial Intelligence World Society, a project that aims to bring scientists, academics, government officials, and industry leaders together to keep AI a benign force serving humanity’s best interests and not — as some futurists and science fiction writers suggest — evolve into a technology that might someday enslave its very creators. ‘‘My concern is what happens to these technologies and whether or not we use them for good reasons and make sure they are internationally controlled,’’ said Dukakis, who since leaving politics in 1991 has taught at universities in Massachusetts and California and advocated for causes ranging from passenger rail to childhood autism. This is his first foray into artificial intelligence. The organization’s co-founder is Nguyen Anh Tuan, a prominent Vietnamese mathematician credited with founding that country’s first Internet provider and first online newspaper before moving to the United States in 2007. He said in announcing the initiative with Dukakis that he hoped to examine AI in a ‘‘humanistic context’’ and build an ‘‘ethical framework’’ for developing the technology. Artificial intelligence broadly refers to computers capable of learning and developing cognitive skills by accumulating massive amounts of data. The technology behind driverless cars and chatbots like Alexa and Siri already has widespread consumer and private industry applications. The public sector, however, has been far slower to embrace AI even as some highlight its potential benefits. A 2017 study by the Deloitte Center for Government Insights said a significant investment in AI could free up 1.2 billion hours of time spent by federal workers, saving more than $41 billion annually. The authors predicted ‘‘massive changes’’ spawned by artificial intelligence in the public sector over time. Smart machines could help slice through government red tape, for example, ease chronic backlogs in everything from patent applications to Medicare appeals, and even assess the gravity of terrorism threats. But there are obstacles as well, said Thomas Patterson, a professor of government at the Harvard Kennedy School and a board member of the Boston Global Forum, a think tank chaired by Dukakis. While government certainly generates plenty of data, it’s not always easy for AI to access. ‘‘It’s really hard to talk across the various data sets simply because it’s not being collected and put in the same form from one agency to the next, and some of the (software) programs are very old,’’ said Patterson, noting the potential costs involved in upgrading systems. The effort to delve into the AI debate seems fitting for Dukakis, who was often labeled a ‘‘technocrat’’ during his years in political office. It was both a compliment and a criticism. Admired for his near obsessive attention to the nuts and bolts of government, a perception among some voters that he lacked sufficient passion or emotion likely contributed to his lopsided defeat by George H.W. Bush in the 1988 presidential election. Dukakis is intrigued by AI’s potential to help with government decision-making, but doesn’t believe it will ever supplant human governance or take away the jobs of civil servants. Can you teach AI to be ethical? Not likely, Dukakis said with a laugh. ‘‘Machines aren’t going to deal with that kind of thing,’’ he said.